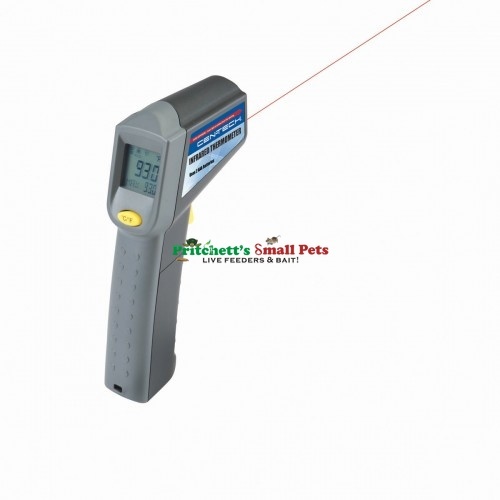 Sometimes it's called a laser thermometer, because you use the built-in laser to target the surface, but it's really a non-contact infrared thermometer that measures the electromagnetic radiation coming from that surface. It's the safest & easiest way to measure temperatures in your reptile's habitats. Measure temperatures with point and shoot technology. We use this thermometer to check temperatures of our reptile and insect heating areas from within the container for an accurate temperature. 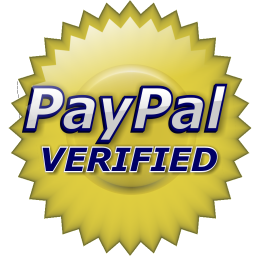 Click the button below to add the Non-Contact Infrared Thermometer With Laser Targeting to your wish list.